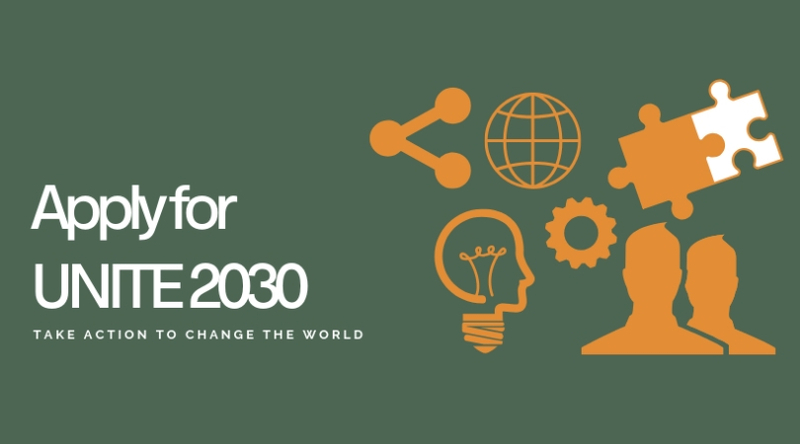 The International Development House (IDHouse) invites you to apply for UNITE 2030, the world’s global forum of aspiring and active young worldchangers working together to solve the world’s most critical challenges. UNITE 2030 is an opportunity for you to build skills, grow teams, access tools, collaborate, share best practices, foster innovation, build community and develop new ideas that change the world. It’s not just a 48-hour summit, but a community of worldchangers who are taking actions on the critical issues facing our world. After you attend the Summit, you becomes a permanent member of the UNITE 2030 Community, and you’ll have access to all the tools, training, and community & one-on-one support available to UNITE 2030 Ambassadors. UNITE 2030 is a global, virtual “hackathon” style Summit that will empower you to create social change in your community and the world. We host several Summits throughout the year, and at each summit, you will work in a team 3-5 worldchangers from different countries, “hacking” to develop a solution to a global challenge. After working with their teams for two days, and attending a wide variety of workshops, teams will then present their solution in the form of an “Action Plan” which is, in essence, a business plan, that lays the groundwork for their worldchanging solution. Following the Summit, participants will become UNITE 2030 Ambassadors, allowing you to create change on a local level, giving you access to events, resources and toolkits, and group/one-on-one support that can help you change the world. The program is funded – however they require a small registration fee to ensure your attendance at the event! You must be between 18 and 30 years old by the date of the Summit. You must be fluent in English (both written and spoken). You must have consistent access to a working computer with a functioning microphone and camera. You must have access to WiFi. You should apply via our website – www.unite2030.com. Applications are accepted on a rolling basis and may close if a Summit fills up. You may be invited for an interview if you have applied to a popular Summit. For more information, visit UNITE 2030.